All appointments made in advance may require a $50 deposit. This deposit is to ensure your event will be reserved for the date and time you specify. Please see our FAQs and Policies page for more information about the deposit. New party packages recently added! Fortnite is the hottest game out that everyone is playing today. How cool would it be if you could play in a squad with all of your friends at the same time, and you take home that win. What’s even better than winning is that you can actually get to see that smile on everyone’s face and feel the excitement all around you. This is what a Fortnite birthday party is all about, and we can make that happen for you! Whether playing solo, squads, or duos, we want you to have that excitement at your birthday party so you will create a lasting memory that can be shared with your family and friends that will never be forgotten. So book now! 2 Hour party package for online Fortnite over PlayStation NetworkTM. *host must allow us to run our network cable to their router for internet access. 2 hours of our advanced Game Theater brought directly to your house or a public location of your choosing! 1 hour of Laser Tag! Can be played indoors or outdoors! Different scenarios to challenge your players to Team Elimination, Freeze Tag, and more! You get 1.5 hours of our action-packed Laser Tag! More time for more fun! 2 Hours of our advanced Game Theater with Laser Tag also included! Experience both at a discounted price! 2 hours of everything in one awesome bundle! Amazing value! In addition to the Supreme Party Package, you’ll also get our 13′ inflatable bounce house for up to 8 kids at a time! Gaga Dodgeball is the latest hit for parties. It is great for large events such as Church, School, or Corporate Family Events. Don’t miss out on this fast paced, action packed game. It’s not just fun, it’s fun for everyone. Also check out these party packages with Gaga Dodgeball! For more information on our girls’ birthday and princess party packages, check out the Supreme Glamour Machine webpage! The 2 hour Glamour Package with everything you need for a girl’s party! You get everything in the Glamour Package above, and also the limousine style Game Truck as well for 2 hours! Water Tag is an exciting water game for people of all ages. The game is played similar to laser tag, except with water soakers instead of lasers. Players wear vests that collect water sprayed by other players. The player or team that accumulates the least amount of water in their vest wins the game! 1 Hour of Water Tag with 1 referee. 2 hours of Water Tag with 1 referee. Customize your own party experience! Add our Snowcone machine for $75 for your event for self-serve snowcones! 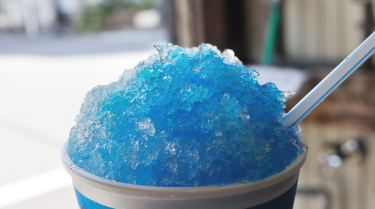 For an extra $25, we’ll bring extra staff to serve snowcones for the duration of the event. *Please supply your own ice. The amount depends on the size of your event. NEW! Cotton Candy machine for $75! Unlimited cotton candy for the first 60 guests. NEW! Popcorn Machine for $75! If you can’t decide, we can bring all 3! 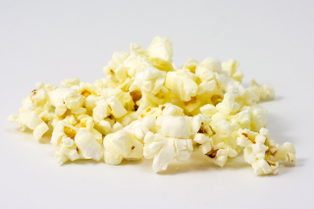 Snowcones, cotton candy, and popcorn for your party all for $225! We have multiple inflatables to add more fun to your party available also – please click here to view our selection! These include bounce houses, hamster balls, or even an inflatable Twister Game! 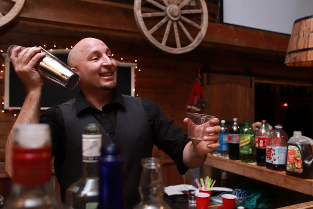 We’re now affiliated with Traditions Events for Mobile Bartending! For $199, you get your very own bar at your event, with experienced bartending staff, tables, and coolers! They’ll arrive an hour early to make sure everything is ready to go when your event starts. *The Host must supply the drinks, cups, and ice. If you’d like more information about Traditions Events, please visit their site at http://traditions-events.com/. Additional time may be available on the day of the event at a rate of $50 every extra ½ hour, unless it would cause a schedule conflict. We are also available for special events! We’re happy to help out with church events, schools events, corporate events, or others. Please call for special event pricing and we’ll work with you to accommodate the type and size of event that you’re planning. Is there an extra charge for travel? For parties 50-74 miles away from the 34771 zip code, there is an additional $100 destination fee. For parties 75 miles away or more, we’ll discuss the destination fee with you while booking.